What is a second activation? A second activation is a license for using imc software on a second computer of a person, for example, a laptop. It should be noted that the software must never be running on both computers at the same time. The second activation behaves as a single-user license and is tied to a computer. When you uninstall the software or change computers, the second activation must be disabled in the License Manager. Then it will be ready for a use on another computer. If the second activation could not be disabled, please contact the imc hotline. Second activations are always bound to single-user or network licenses. What is a network license? Network licenses are not tied to a specific PC. The network license allows imc software to be used on all computers assigned to the license server. The license server has a pool of licenses. All computers that access the server work dynamically through the same license and give it back when not in use. Thus, e.g., 30 computers can be connected to the license server, and with only 15 network access licenses, only 15 computers can use the imc software simultaneously. The network licenses are activated on the license server and must be disabled when changing the license server again. If a network license could not be disabled, please contact the imc hotline. Each network license also contains a second activation, for example, for use on a second Laptop. What is a single-user license? A single-user license authorizes the licensed imc software product on a single PC. It is then bound to this PC. A single-user license includes a second activation, e.g., for use on a laptop computer. When you uninstall the imc software or change computers, the single-user license must be disabled through the License Manager. Then it is ready for a use on another PC. If a single-user license could not be disabled, please contact the imc hotline. There are two ways to license imc software: As a single-user license or as a network license. Both single-user licenses and network licenses come with a second activation. Single-user licenses can also be used with the imc dongle. In this situation, the second activation is not necessary. Network licenses require a license server and cannot be used with the imc dongle. My computer doesn’t have internet access, how can I activate the license anyway? In this situation, the Activation can occur by following the next three steps: Step 1: Export Activation File: The computer, even without internet access, exports (saves) an activation file. This file contains information specific to the PC and to the license. Step 2: Activation with activation file: The computer with internet access, opens the activation file and follows the activation assistance in a manner analogous to activation “with the internet”. The activated licenses are included in the same activation file. 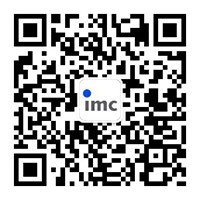 If you do not have a PC available where activation can take place, you can send the activation file by e-mail to the imc hotline. Step 3: Import Activation File: The activated Activation Files by the computer with internet access opens the activation file again. The Activation Files from the computer without internet access are transferred over. It is transferred There is the assumption of the activated licenses on the computer without Internet access. It will only accept the licenses that the computer data is in agreement with. An import on a 3rd computer is not possible. My PC is broken. How can I activate my new license on my new PC? Does imc STUDIO require an unlock code? An imc DEVICES version always belongs with an imc STUDIO version. Here you can find out why an unlock code is required and how you get it. An imc DEVICES version always belongs with an imc STUDIO version. The imc STUDIO software that uses imc DEVICE version ≥ 2.7 devices requires an unlock code. An update of imc DEVICES version 2.7 is not free of charge. Please make inquiries to your local distributor to submit a quote. Please note that only certain groups of devices are supported by imc STUDIO. For more information, refer to the technical data sheet and to imc STUDIO. For questions, your local distributor will be happy to assist you or you can directly contact our hotline.